BEST BEATLES! is a vinyl only collection of the most loved songs from the two Caspar Babypants Beatles cover albums BABY BEATLES! (2015) and BEATLES BABY! (2017). The track listing was curated based on feedback from children and parents and is a solid introduction to the Beatles for your kids. The song list is anchored by standard family favorites mixed with some more eclectic choices. The renditions of classic favorite Beatles tunes are sparse and thoughtful and fun and bright. This 140 gram black vinyl LP is a limited edition of one thousand so get them while they are hot off the presses! 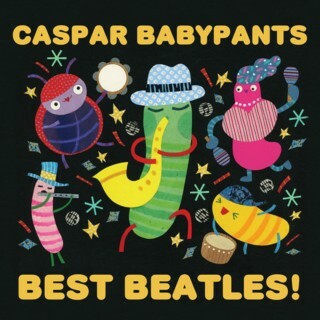 Caspar Babypants is the kiddie nom de plume of Chris Ballew from The Presidents of the United States of America.